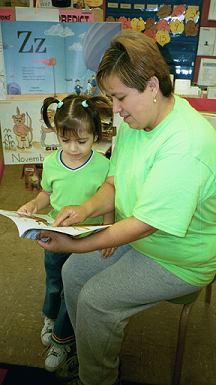 We prepare children to become lifelong readers by training their parents to read to them. Partnering with preschools and kindergartens, we provide workshops filled with easy-to-implement tips and hands-on training. We make home reading easier by distributing books to families and lending libraries to classrooms. : Sign up to join our mailing list! Donate 100% - Add 3% so that 100% of the donation goes to Ready, Set, Read!. Ready, Set, Read! has partnered with Network for Good to securely process your online credit card payment via Network for Good (tax ID 68-0480736). This transaction will appear on your credit card statement as "Network for Good." This transaction is subject to Network for Good’s Privacy, Security & Disclosure Statement and the Charitable Solicitation Disclosure.